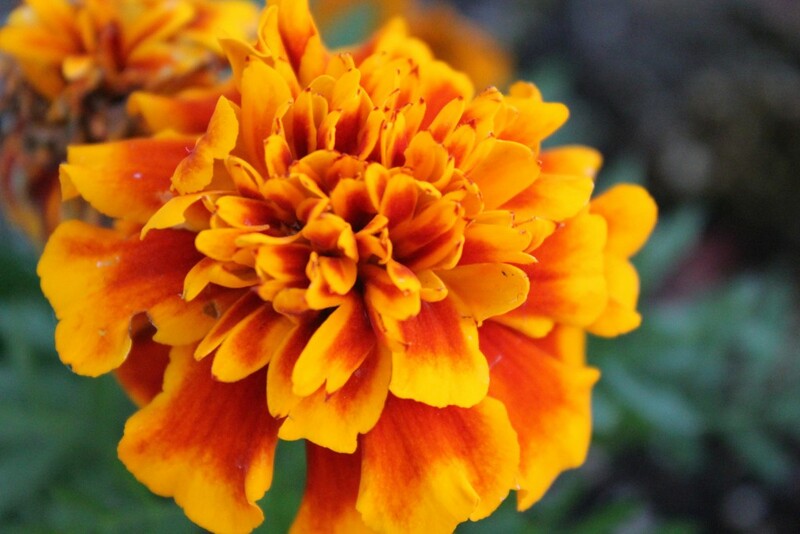 A captivating pompom-like flower, marigolds are some of the most exciting among fall blooms. Also known as the “herb of the sun” or “sun’s bride,” marigolds play a prominent role in many celebrations worldwide. The bold and vibrant fall-colored shades of orange, yellow and burgundy also make it a popular choice in seasonal bouquets. But did you know that these beauties are also the October birth flower? There are a lot of legends around the mysterious marigold flower. And it’s only fair since the sunny plants have more up their sleeves than being the October birth flower. These cheerful plants are native to the Americas. People often confuse them with their English cousins, calendulas. Despite that, marigolds were first grown in the New World and played a sacred role in Aztec culture. The Aztecs used them for medicinal purposes, in cooking, spiritual rituals, and even considered them magic. Marigolds came to Spain in the early 16th century after Spanish explorers completed their long journey across the Atlantic Ocean. Over time, the plant migrated to France and later found its way to Africa. In the modern day, the most popular marigold species (Tagetes erecta) is cultivated in Africa. What Does the Name Marigold Mean? Wondering where the name marigold comes from? It actually refers to its color and is derived from “Mary’s Gold.” The story comes from early Christian times. Instead of placing coins on Virgin Mary’s altar as an offering, people were using little yellow flowers which looked surprisingly similar to the golden coins. To this day, many people use marigolds in festivities to honor Mary. In particular, celebrants offer it on the Feast of the Annunciation since in Christianity it is a symbol for auspiciousness and patience. Many cultures use October’s birth flower as a sacred offering including Hindu, Christian, Buddhist, and Aztec. In a number of places, marigolds are associated with the sun and golden coins because of their yellow and orange hues and round shape. For people in Mexico and Latin America, they can also symbolize remembrance of the deceased. Because of this, marigold flowers play a key role during Day of the Dead and All Soul’s Day celebrations. Often, celebrants on these holidays use marigolds to decorate home altars and graves. The marigold is one of the most celebrated flowers in Hindu mythology and festivals. 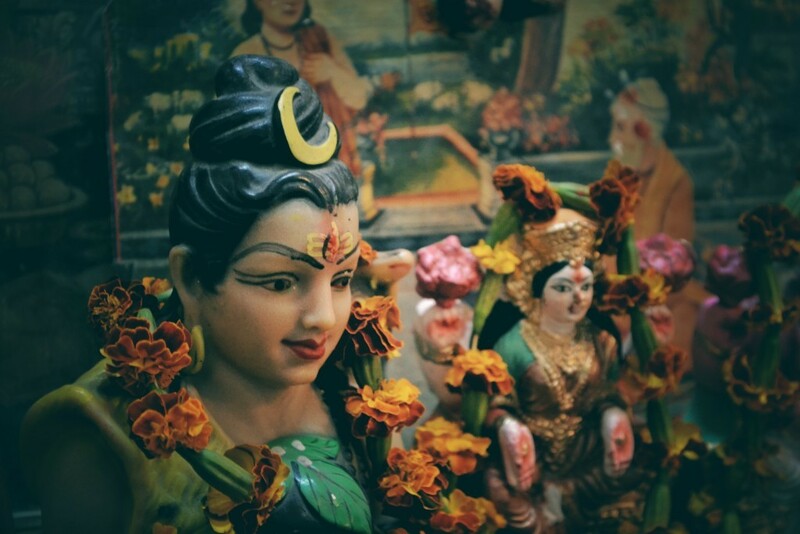 In Hinduism, these honorable blooms symbolize auspiciousness. Its cheerful golden color signifies renunciation and people offer it to gods because it symbolizes obedience. People in India use marigolds in ceremonial decor during the harvest festival. They weave the flowers into into garlands and give them to the gods as well as honored guests. What Does the October Birth Flower Symbolize? It’s not only marigold’s bold hues that draw attention to this vibrant bloom, but also what they mean and represent in different cultures. Strongly resembling the sun with its warm rays, the marigold flower acts as a symbol of the beauty of the sun and its positive energy. They also came to represent passion and creativity. These are the flowers that always stand out in any birthday bouquet and bring a smile to people’s faces. Lots of people consider this attractive October birth flower a love charm. They are often found in wedding bouquets because they symbolize beauty and new beginnings. Yellow marigolds symbolize positive emotions, happiness and joy. Flowers arrangements with sunny marigolds are perfect for absolutely any occasion. Whether you need to cheer up, share the holiday joy or reveal your feelings to the recipient, a bouquet of yellow marigolds will do the trick. Red marigold is the emblem of love and affection which makes these blooms perfect for expressing romance and passion. Bring this gorgeous October birth flower into your dear one’s home and it will surely fill it up with love and positive energy. Also a symbol of positivity, orange marigolds represent any kind of strong emotions. Orange intensifies any message you send when you include it in a bouquet. – People have used the marigold plant to treat people for quite a long time (maybe that’s why the Aztecs thought it was sacred?). Some of its most popular medicinal values include use as an antifungal, antibacterial and anti-inflammatory. Used as an antiseptic and ointment it has been used in the past to treat upset stomach, ulcers, and eye-infections. – Marigold petals contain high levels of antioxidants and are great for herbal tea blends. Marigolds are even good in home remedies for stomach and period cramps, digestion, and acne. – Marigold flowers are being studied for their potential ability to help with the eye health. High lutein content in the plant might be good for preventing age-related eye diseases. Marigold flowers are even fed to chickens to raise lutein content in eggs and naturally achieve brighter yellow yolks. – Marigold leaves are also edible. Being quite spicy, chefs don’t use them often. Only experienced cooks know how to balance their flavor with other ingredients. Marigolds have been used as a food additive since the Middle Ages, acting both as a natural food colorant and nutritional supplement. Its vibrant orange petals are a good substitute for expensive saffron. They are perfect for coloring and flavoring rice, soups and stews. It’s also popular for garnishing drinks, salads, and other dishes, especially during big celebrations. – The vivid orange color of Marigold flowers makes them a perfect choice in wedding cakes décor and in all types of baked goodies for any celebratory occasions all year round. Chefs use the blooms as a garnish on serving platters. They complement spring, summer and fall holidays best. October boasts some of the most beautiful and nontraditional gemstones to suit anyone’s personal tastes: unique Opal and multicolored Tourmaline. The elusive beauty of Opal is sometimes compared with galaxies or fireworks and is hard to describe with words. 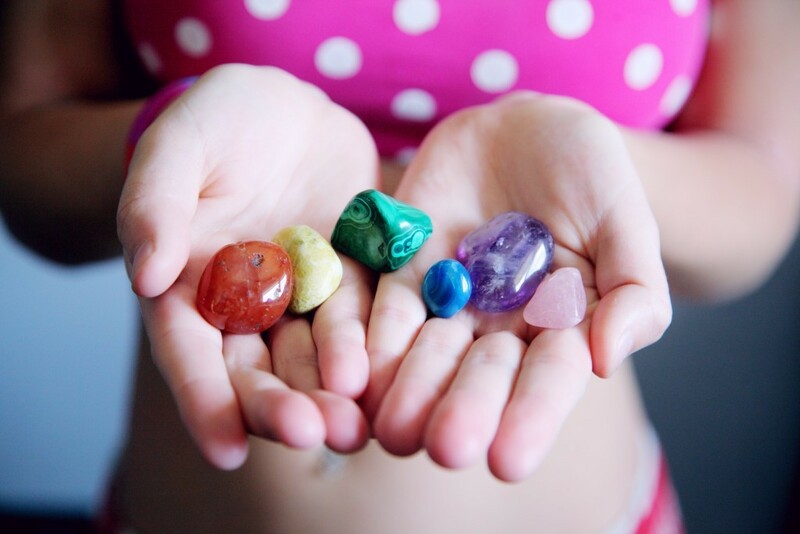 Its constant play of kaleidoscopic colors is truly unique and unlike any other gem you’ve ever seen. The opal’s name itself originates in Greek and means “to see a change in color.” There are many kinds of opals: white are the most common, while black, and fire red are a couple of the most exciting colors. For centuries, people have associated this gem with good luck. In ancient Rome, it symbolizes love and hope. Though some recent superstitions contradict this symbolism, Opal remains a number one choice for those born in October. Tourmaline is a favorite gemstone for many, not only those who celebrate their birthdays in the middle of fall, because it’s available in a rainbow of beautiful hues. Actually, the name itself comes from Sri Lanka and translates as the “stone of mixed colors”. Ancient legend has it that tourmaline comes in all colors because it traveled along a rainbow and borrowed all its shades. Giving Tourmaline as a birthday gift to someone born in October is a wonderful idea that will bring your recipient a lot of benefits. Many people believe the October birthstone strengthens the body and spirit, brings good fortune and inspires creativity. As such, many artists and writers use it as of talisman. One of the most balanced and “Perfect” zodiac signs, Libras deserve a perfect gift. Something that brings peace and harmony into their life will always be the most popular choice with this zodiac. A lucky bamboo or a bonsai tree will bring a Zen atmosphere into their private space. To tantalize your charismatic Libra’s senses, give them a stunning birthday bouquet featuring all the favorite fall blooms including marigolds. Complement the flowers with gourmet chocolate or a birthday cake and you will hit their sweet spot. If Libras are the most balanced, Scorpios are definitely the boldest of all the zodiac signs. They are passionate, emotional and prefer gifts that have similar characteristics. Dreamy romantic bouquets won’t be the best choice for this zodiac sign. Instead, they will most likely appreciate bold flower arrangements featuring vibrant red, orange and purple hues. Classic red roses, bright chrysanthemums and stoic gladioli are a perfect fit for Scorpio’s intense personality. But this strong zodiac sign also has a sensitive side that can be pampered with a luxurious spa hamper or a gourmet gift basket filled with all sorts of yummy goodies. An alcohol gift might loosen up your Scorpio and make them feel more at ease. The October birth flower enjoys a rich heritage, both culturally and historically. Its mere presence makes an occasion not only beautiful, but vibrant and energetic. It’s hard to beat marigolds as they add their golden glory to any flower arrangement or birthday bouquet.